Retirement planning software is very important, especially for those who are planning to retire. People should prepare in advance before the exact date of retirement to make sure, that they can be financially independent, have a steady income even after the retirement, and that the person can live in comfort after years of working. Most people think of planning for retirement when already old but planning for retirement at an early stage can be very advantageous in terms of reaching financial goals and long term plans. Retiring itself involves meticulous thinking and decision-making whether it is the right time for retiring or if the person already reached his or her retirement financial goals. Aside from deciding the exact time for retiring, choosing the best retirement plan is also an essential stage. All these concerns about retirement can be solved with a software on retirement planning. This software aids individuals in properly and effectively calculating various details and factors that are involved in their retirement plans like benefits, savings, investments, spending, tax and other important details in retirement plans. Torrid Technologies Inc. developed a retirement planning software for individuals as well as for couples. The software program helps people who are saving for their retirement make plans. Most users claim that the software is quick and very easy to use, the most user-friendly financial software and that it takes account all of the important factors in effective retirement planning like taxes compared to the online retirement planning calculators. The product can be purchased from the developersâ€™ site. 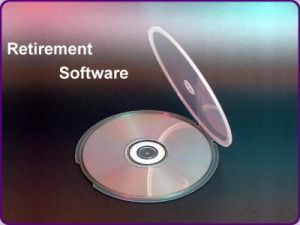 One major drawback of the software is that aside from the initial payment for the purchase, customers also need to pay for renewals every year and you can only create one retirement plan for the personal edition. Quicken Deluxe 2011 is also one of the most popular retirement planning software in the market nowadays due to their very user-friendly and effective tools in calculating and organizing financial activities of individuals. Through Quicken finance software, people get to consolidate all of their accounts in one place. It gives organized and updates on expenses, helps customers determine the right mutual funds and stocks, and provides ways to minimize tax on investments. Fidelityâ€™s retirement planning software provides people with tools to predict and calculate their income and financial status during retirement. The software provides a quick estimation of the personâ€™s financial status and preparedness when deciding to retire and creates a strategy that would best suit the person to reach his or her financial retirement goals. One major drawback is that people who want to access or use the tool should be a Fidelity customer.